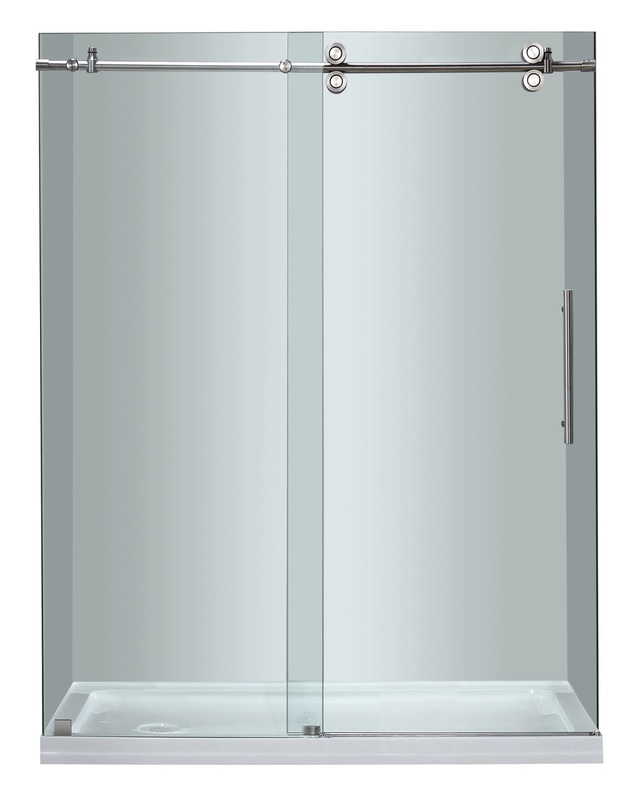 Size: 60" x 32" x 77.5"48" x 36" x 77.5"
Create a new contemporary look for your bathroom with the Aston Langham Completely Frameless Sliding Shower Door. 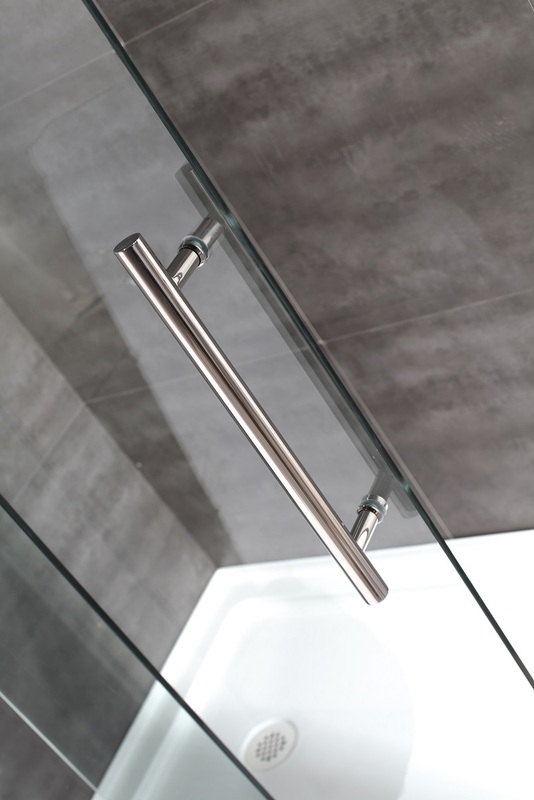 Accentuated with either chrome or stainless steel finished hardware, thick premium 3/8 in. 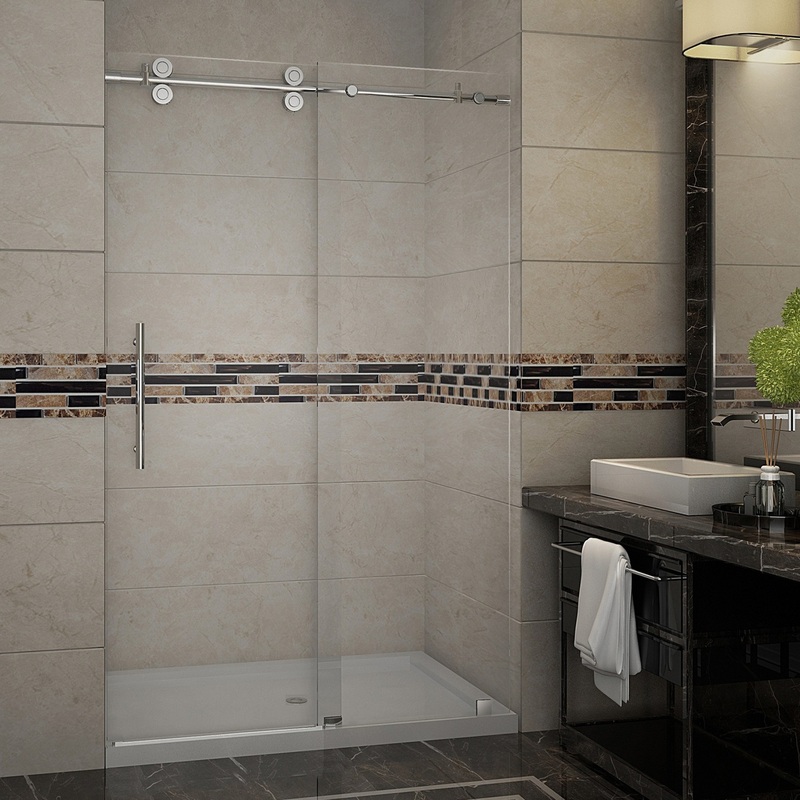 (10mm) ANSI certified clear tempered glass and deluxe full-length seal strips to prevent leakage; this European-inspired, luxurious door instantly creates a sophisticated custom-look style for your bath at a fraction of the cost. 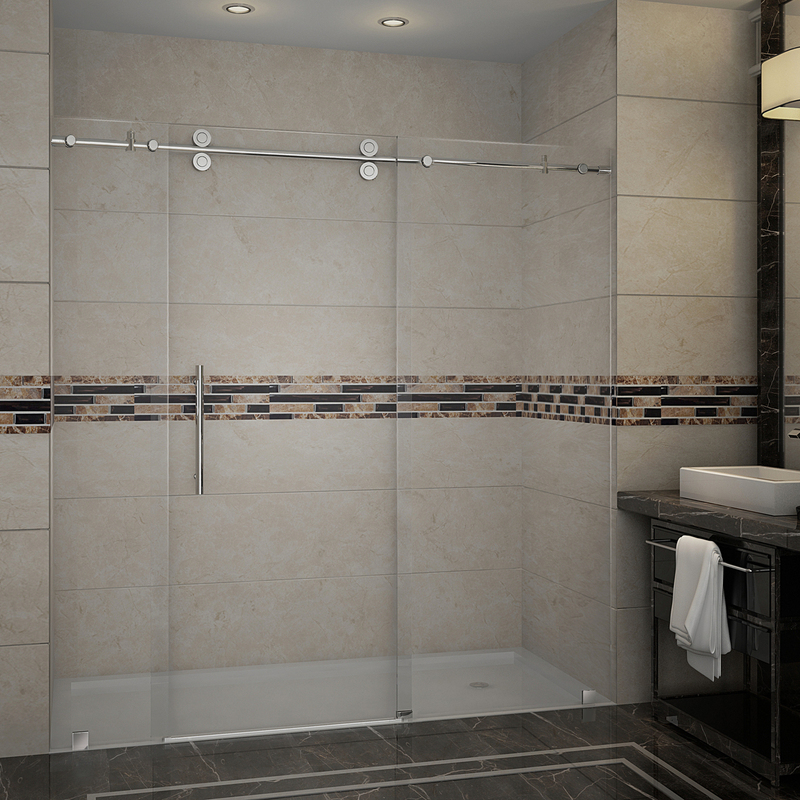 Perfect for that larger alcove space in your bathroom. All installation hardware is included. 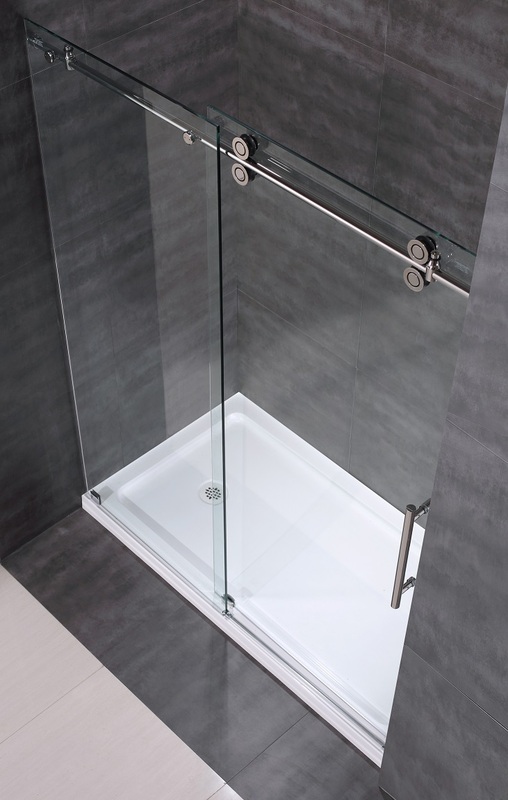 This model is engineered for both right and left handed door installation, includes a low-profile acrylic shower base, center drain.